No customer relationship is alike, each has different needs, requires different levels of attention, and each comes with its own set of personalities to be dealt with. But there’s one thing that they all have in common, and surprisingly, that’s the fact that most of the revenues that come from each customer will come after the initial sale. Often, up to 95% of the revenue earned from each individual customer will come after the initial sale. And what’s more, selling to existing customers requires less selling investment, and is up to 1,400% more likely than selling to prospective customers. This all goes to highlight the importance of strengthening our relationships with customers once the relationship has begun. That even though the initial account win is hugely important, the real success will come from how well the account is nurtured and managed over time. When our account management game is strong, we’ll see some amazing benefits in the shape of our customers being more willing to automatically renew contracts and expand their use of our service. What’s more, they’ll begin to see you as a consultant, rather than a simple vendor and they’ll trust your advice. There are multiple aspects to great account management, and we cover each one. Starting at the start, you’ll first learn how to set the foundations for a successful relationship. So you’ll know how to set the right goals and establish SLA’s at the outset, and you’ll know the right way to demonstrate value to your customer. Soft skills are just as vital, if not more vital, to the continued success of a professional relationship as technical know-how and subject matter expertise. So a big part of this programme focuses on developing strong and lasting relationships with customers. We need to move past the simple client-vendor relationship and develop a strategic partnership with our customers. 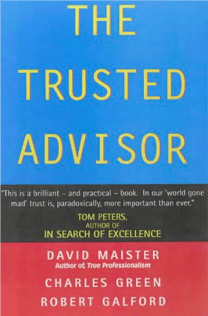 In his book “The Trusted Advisor”, David Maister outlines exactly what is required to develop that type of relationship with your client. But 22 chapter long it’s a hefty read. That’s why we’ve broken it down and delivered they key lessons in a compact and easy to digest course. You’ll learn about the nature of trust, how to listen, when to speak and how to understand the individual personality of each of your customer stakeholders and to tailor your communications to them. Speaking of stakeholders, we can often have multiple stakeholder relationships within one customer company. It’s of vital importance to understand each of the stakeholders who impact the relationship. We need to understand what our relationship with them is, we need to understand what their motivations are and we need to understand how to manage each of the different relationships that we have within the customer company. Luckily it’s not too hard to do all of this when you know how – and we’re going to show you how, by showing you how to create a comprehensive stakeholder map. This stakeholder map will provide a guide to managing each of the relevant stakeholders, taking into account their individual motivations, their level of influence and our level of relationship with them. And while the aim of great account management is to increase revenues through renewals and expansion. These things don’t just happen automatically. We need to be savvy in how we identify opportunities to pitch expansion to customers. And we need to be savvy in how we pitch those opportunities to clients. 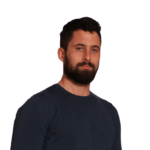 Opportunity management is a vital skill for any good account manager. So we’ve made sure to include a course on how to spot those opportunities and pitch them to your customers. These are all vital skills for anyone involved in customer relationships and they can be applied easily and directly to the relationships we have with our clients as recruitment outsourcing professionals. After you’ve completed our course on account management and you’ve got these skills in the bag, you’ll enjoy easier renewals, willing expansion and multiple referrals. Sound good to you? Start learning about Account Management on our Recruiter Training Academy Today!